A list of Open Source technologies supporting the development of autonomous cars have already been published. Now there are two new Open Source simulators, which have been added to the list. CARLA – Car Learning to Act – is a simulator developed in cooperation by Intel Labs, Toyota Research Institute and the Computer Vision Center in Barcelona. The simulator allows to simulate driving scenarios under different conditions. The simulator includes 40 different building types, 16 animated car models, and 50types of animated pedestrians. It currently includes two model towns with several kilometers of roads. 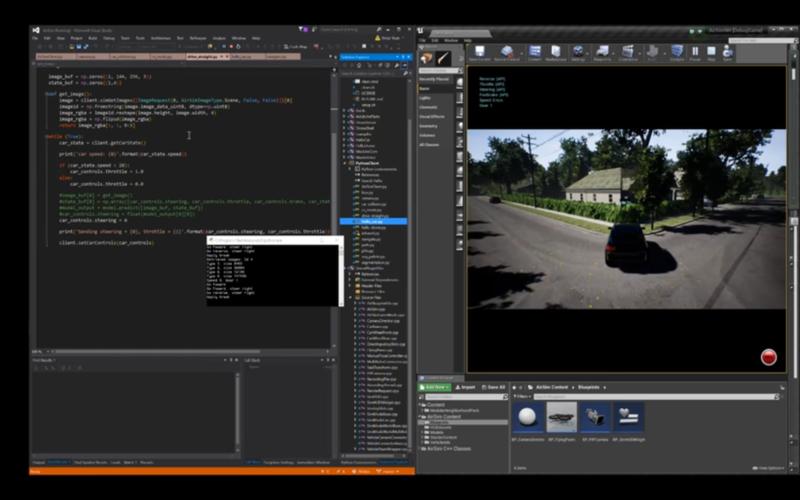 Microsoft developed AirSim – a simulator for testing autonomous systems – and added a car simulator. The new version of AirSim also includes new environments, as well as APIs and program scripts that make development easier. Microsoft published a blog with more details about the simulator. This article also been published in German.